Not sure where I found this recipe (I believe it was Milk Street)…it’s so quick and easy, you can throw it together in about 30 minutes using ingredients that you probably already have on hand, and it’s just incredibly delicious. I really like it with udon noodles, but you can also use lo mein or spaghetti if that’s what you have. It’s really hard to mess this one up, but just make sure you keep a close watch on the sesame seeds and red pepper flakes as they cook because they can go from golden brown and tasty to burned and bitter in a matter of seconds. As long as you do that, you’ll have the perfect week-night meal. This is one dish you’ll go back to again and again! 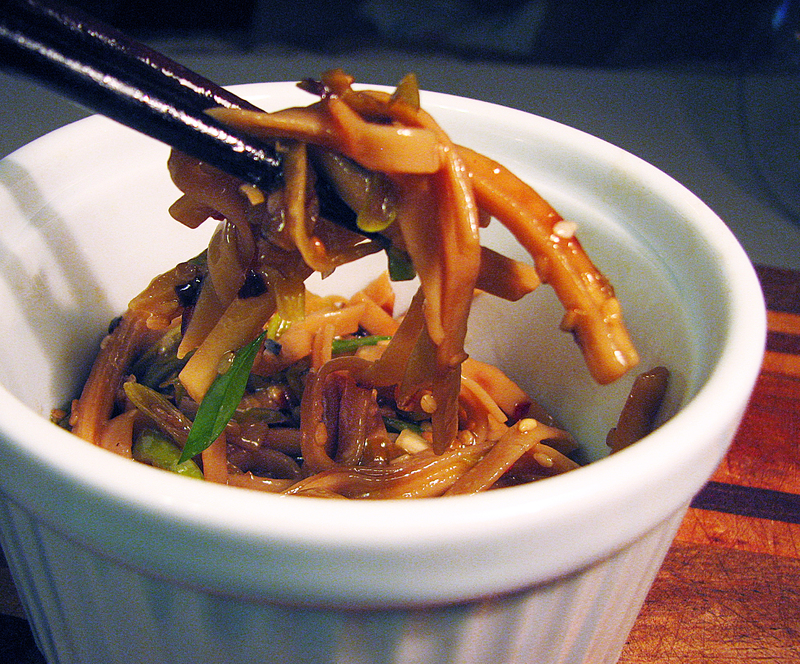 A quick and easy Asian noodle dish using things you probably already have in your pantry. The fried eggs are optional, but they do really add to the flavor. Bring a large pot of well-salted water to a boil. Add the noodles and cook until al dente, then drain. Meanwhile, in a large bowl whisk together the soy sauce, vinegar, sugar and sesame oil. In a large nonstick skillet over medium, heat the vegetable oil, sesame seeds and pepper flakes until the pepper flakes are fragrant and the sesame seeds begin to brown, 3 to 5 minutes. Off heat, stir in the scallion whites, then transfer the oil mixture to the bowl with the soy sauce mixture. Add the cooked pasta to the sauce and toss. Add the scallion greens, reserving some for garnish, add a couple of squirts of Sriracha (to taste) and toss. Divide among 4 serving bowls and top each with more scallion greens and a fried egg, if desired.